A few weeks ago, in the unlikeliest of locations, an incredibly exciting historical brewing project took place. 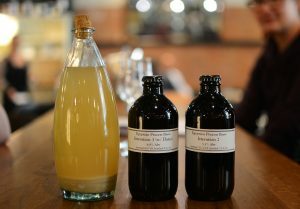 On a nano-brewery kit tucked behind the bar of Pitt Cue, the most exciting and authentic barbecue restaurant in the capital a stone’s throw from London’s Liverpool Street station, an ancient beer was brought back to life. Whilst The British Museum might not be the first name that comes to mind when thinking of collaboration brews, it’s thanks to them that this project came into being. When the BM – as it’s fondly known – commissioned renowned food historian Tasha Marks to produce a YouTube series exploring “the cultural backgrounds behind some of our ‘pleasant vices’ – alcohol, sugar, chocolate and aphrodisiacs – in relation to the British Museum’s collection and beyond”, she turned to food and wine expert Susan Boyle, and head brewer Michaela Charles, who runs AlphaBeta Brewery – Pitt Cue’s in-house outfit. The concept was to respond to an object in the museum’s collection – or in this case, objects. The collection houses a large number of Egyptian beer jars, reed straws, and models, often left as offerings in tombs with the intention of beer being brewed in the afterlife; the artefacts acted as a guide for the team in how to make the beer itself. As well as these, they referred to the ‘Hymn to Ninkasi’ – often credited as the first recording of the brewing process, (1800 BCE) although this hymn in fact came a little while later than the period the team are looking at. Working closely with the bio-data team at the museum, they were able to identify some of the ingredients that would have been used at the time, in order to make sure the end result was authentic as possible. 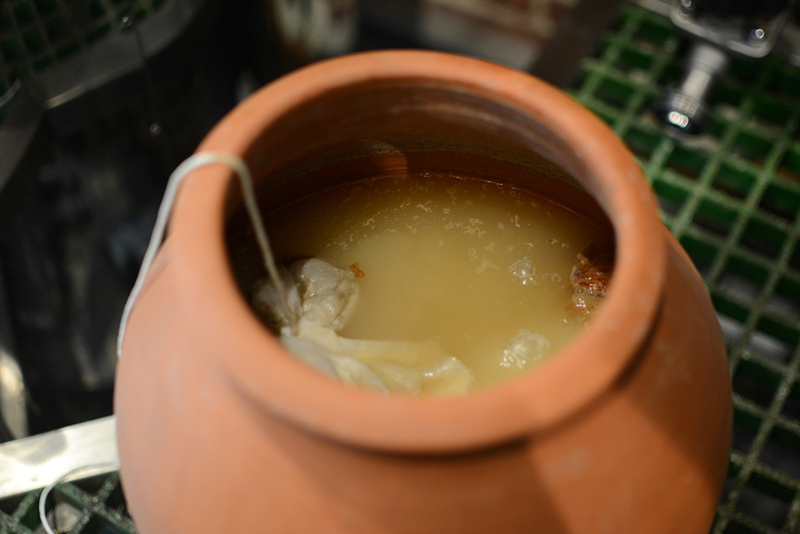 Throughout our conversation at Pitt Cue – a bustling and modern restaurant in which it feels almost alien to be ‘uncovering’ ancient brewing history – I find myself continually surprised. Not only does this project show how advanced Ancient Egyptian brewing techniques were, it also undermines certain things within brewing that we often appear to regard as fact. The method that the team used for this brew is significantly more efficient than the way we brew five thousand years later: “even though it seems primitive, it’s super efficient. It works so much better than modern brewing processes; it yields a really high alcohol content, the fermentation happens really quickly, and it yields a delicious beer,” Tasha says. The brew itself is remarkable. As opposed to the average modern-day brew; a single mash infusion, which is boiled, hopped, and fermented, this method uses two mashes. “There’s the cold mash- which gives you all of your live enzymes, and then there’s a hot mash which unravels all of your starches, and the two of these mix together,” explains Michaela. 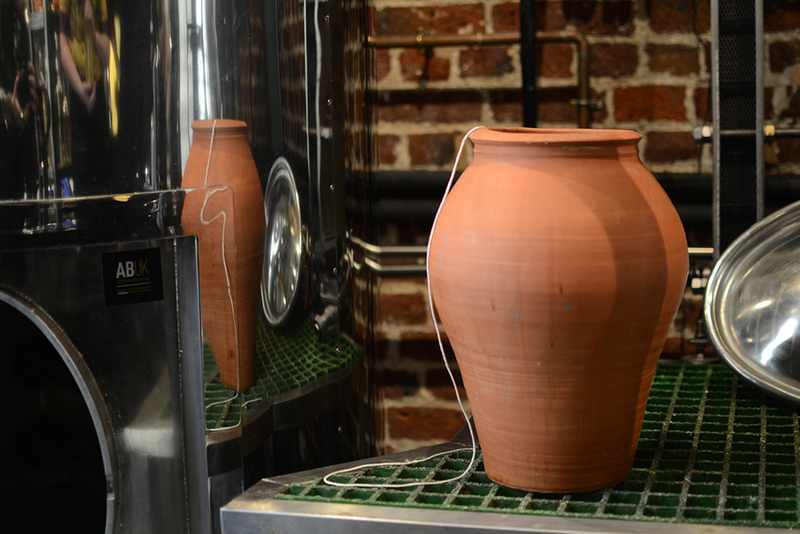 “The starch conversion doesn’t have to happen in a set amount of time – it goes all the way through – and the fermentation starts immediately, because the earthenware vessel has pores in it that hold the yeast. Starch conversion and fermentation are happening together – it’s so quick.” The entirety of the brew takes two days, a time frame unheard of in modern brewing. As Tasha pries the crown cap from the first stubby brown bottle – somewhat more fit for a French supermarket beer as opposed to a mind-blowing historical project – a hiss escapes, reaffirming the idea that Ancient Egyptian beer was much closer to our present-day iterations than once thought. The beer is surprisingly bright, with just a hint of haze – reminiscent of an unfiltered Gose – and a pale straw colour. The head dissipates fairly quickly, though the carbonation from the continuing fermentation forms a halo within the glass. Not knowing what to expect, I take my first sip. When I first read about the project, and Tasha sent me some preliminary information, I was imagining the final beer being somewhat musty, or dull, at the very least. I certainly didn’t expect it to taste as it did: a delicious, slightly tart beer with hints of wheat and spice, with a refreshing crispness to it. With an acidity not unlike wine or cider, the beer evoked thoughts of summer refreshment – ideal for the heat of Egypt. There’s a hint of funk from the yeast profile, though nothing overt – you have to actively look for it – and there are no off flavours. Given that this is a beer brewed from a recipe that’s several millennia old, and with five thousand-year-old techniques, brewed using only ‘a dirty pot’ and minimal human interference, it’s incredible. This wonderfully simple project surprised even the team behind it. “I was very sceptical. When I first approached this project I thought ‘this is going to be nasty!’” Tasha admits. A world away from pots of boozy sludge, the Ancient Egyptians brewed delicious beer: “it’s a classy brew, even by modern palate standards.” As Susan says, it really challenged everything I knew about brewing. 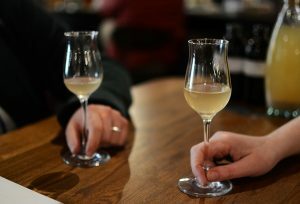 Things I once thought to be somewhat set in stone were undermined by an ancient hymn, some experimentation, and a little faith; a recipe from a time before we often regard beer to have originated has shown how simple beer can actually be, and how delicious, refreshing beer is not as modern an innovation as we once thought. Rather stunned, I immediately wanted to try and bring my own bit of Ancient Egypt to life; I just needed my own terracotta pot. You can watch the British Museum’s Pleasant Vices episode on the beer here. Thanks to Tasha Marks, Michaela Charles, and Susan Boyle.